Gadolinium lawsuits are being filed because individuals have been put through MRI or other radiographic exams that use gadolinium-based contrast agents. These agents have proven to be dangerous, and people are suing because the manufacturers knew about the side effects but did not properly warn consumers. More and more people report suffering from gadolinium deposition disease (GDD), with symptoms including weight loss and decreased kidney function. If you are a loved one are dealing with GDD, you aren’t alone. Join with other people dealing with these side effects to get the compensation you deserve. Is there currently a class-action gadolinium lawsuit? There is no class-action gadolinium lawsuit. Anyone who has been harmed by gadolinium has the right to file their own lawsuit, whether on their own behalf or on the behalf of a loved one. McIntyre Law is helping people do just that. This is a national problem—no matter where you live in the United States, we’re ready to help. We’re based in America’s heartland and serve our client with small-town values. You can call our founder Noble McIntyre anytime to talk about your case. Nearly everyone who wins court compensation from big medical companies had a lawyer representing them in court. Gadolinium lawsuits are complicated legal proceedings, so you stand a better chance of winning if you hire an experienced legal team. Otherwise, you’ll be preparing court briefs and collecting medical records on your own. With McIntyre Law at your side, you can level the playing field against these corporations and give yourself the best chance to get the compensation you deserve. When a lawyer works on a “contingency fee” basis, they’re agreeing to accept a fixed percentage of any monetary rewards from your lawsuit to cover their legal fees. If there are no rewards from your gadolinium lawsuit, you don’t pay the lawyer. We get paid if, and only if, you do. If you wait too long to file your gadolinium lawsuit, the court may refuse your case. The exact deadline for filing varies from one state to the next. And it can depend on when you first noticed the symptoms caused by gadolinium. Talk to a lawyer as soon as possible. They can help you document your medical timeline and match it with your specific state to determine if you’re eligible for a gadolinium lawsuit. What compensation can I get from a gadolinium lawsuit? People who went to the hospital for a simple MRI are suffering debilitating physical effects—and some are in financial peril because of medical bills and lost wages. As evidence of the danger of gadolinium grows, more and more people are turning to law firms for help. At McIntyre Law, we believe in holding companies responsible when they fail to warn people of dangerous side effects. We want to see victims of gadolinium deposition disease get the compensation they deserve. Do you have a case for a gadolinium lawsuit? Even though the scientific community has yet to agree on whether gadolinium is causing these dangerous side effects, people who are suffering from gadolinium deposition disease are already suing manufacturers for not adequately warning consumers about the potential dangers. If a gadolinium-based contrast agent was used when you went in for an MRI, and you are experiencing symptoms consistent with GDD, you may be eligible for a gadolinium lawsuit. The experienced attorneys at McIntyre Law are now handling these types of cases, and we want to help you get fair compensation for your medical bills and pain and suffering. Contact us for a free consultation today. You don’t have to suffer alone. You could be entitled to compensation for your medical bills. Gadolinium is a rare-earth element. It is found in several different types of rare metals, including gadolinite, which is mined in Sweden, Norway, Colorado, and Texas. It has unique properties, especially when combined with other elements. Gadolinium-based contrast agents are intravenous drugs used in magnetic resonance imaging (MRI) or magnetic resonance angiography (MRA). The chemicals help medical professionals see the final images more clearly and make more accurate diagnoses. Bayer manufactures Eovist, Gadavist, and Magnevist. Guerbet manufactures Dotarem and OptiMARK. 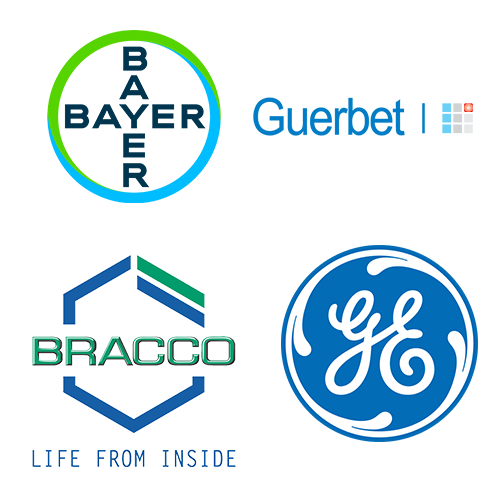 Bracco Diagnostics Inc manufactures MultiHance and ProHance. The FDA’s current position is that “the benefit of all approved GBCAs continues to outweigh any potential risks.” However, gadolinium injections can have severe side effects—people suffering from these side effects are seeking fair compensation for their injuries. 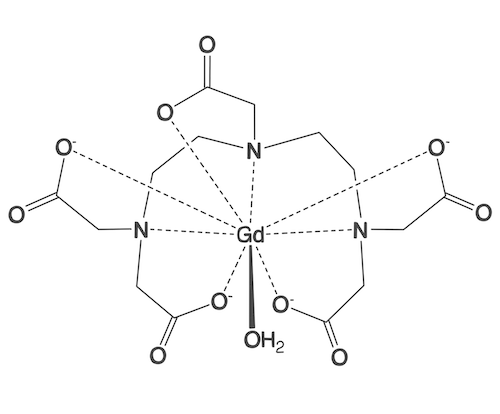 What is Gadolinium Deposition Disease (GDG)? Gadolinium deposition disease (“GDD”) is the term for a series of symptoms that arise hours to months after the administration of gadolinium-based contrast agents. In cases of GDD, the symptoms aren’t related to any pre-existing disease and occur in otherwise healthy patients. People suffering from GDD weren’t warned that these side effects were possible. That’s why they’re suing for fair compensation. Since gadolinium stays in the body after the injection takes place, gadolinium toxicity is the debilitating effects of this lingering chemical. How Long does Gadolinium stay in your body? Small amounts of at least some forms of gadolinium contrast are retained for months and years in patient’s tissues, mostly in the bones, with tiny amounts in the brain. The FDA is responsible for deciding whether gadolinium injections are safe. The first contrast agent, Magnevist, becomes available for clinical use. FDA reports that 90 patients with existing kidney disease developed nephrogenic systemic fibrosis after having an MRI or MRA with a gadolinium-based contrast agent. GE settled a lawsuit alleging that the company failed to warn about the risk of nephrogenic systemic fibrosis (NSF) associated with Omniscan, a gadolinium-based contrast agent. FDA announces that they now require a new class warning and other safety measures for all gadolinium-based contrast agents (GBCAs), concerning gadolinium remaining in patients’ bodies, including the brain, for months to years after receiving these drugs. Lawsuit filed in Northern District of California seeking compensation for a patient suffering from gadolinium deposition disease. Why did the FDA approve using Gadolinium, and is it safe to take? A gadolinium-based contrast agent was first injected into a human on November 10, 1983, as part of a clinical trial. A second patient trial began in 1985. On the basis of these trials, the governments of the United States, Germany, and Japan approved the use of GBCAs in 1988. The FDA says that the benefits of GBCAs outweigh the risks, but because of new information showing that gadolinium does remain in the body after the injection, they believe patients should know more about the risks. The FDA now requires a new patient Medication Guide, providing educational information that every patient will be asked to read before receiving a GBCA. The FDA is also requiring GBCA manufacturers to conduct human and animal studies to further assess the safety of gadolinium. The experienced attorneys at McIntyre Law are now handling gadolinium lawsuits. Let us help you.